92 (0 dead and 92 survivors). 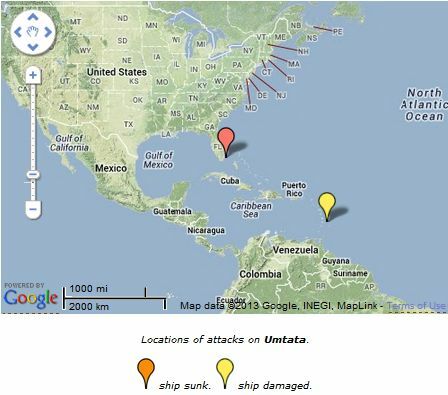 At 04.49 hours on 10 Mar, 1942, U-161 fired two torpedoes into the harbour of Port Castries, St. Lucia. The first torpedo hit the Lady Nelson, which caught fire and sank by the stern in shallow waters. The second torpedo struck the Umtata, which sank by the stern. However, both vessels were later salvaged and repaired. Four persons of the 140 crew members, four gunners and 33 passengers aboard the Umtata were lost. 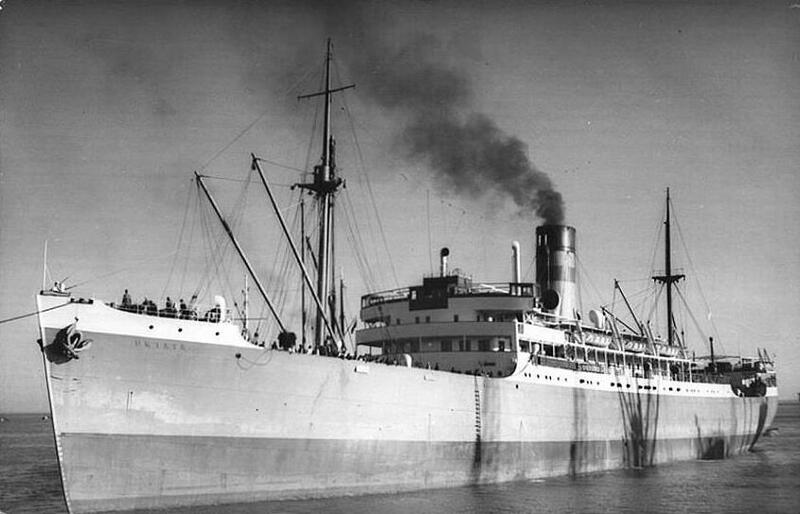 The ship had been en route from Durban to New York with a cargo of chrome ore, asbestos and meat. On 2 May, she was salvaged, temporarily repaired and then sunk by another U-boat while under tow to Port Everglades for permanent repairs. 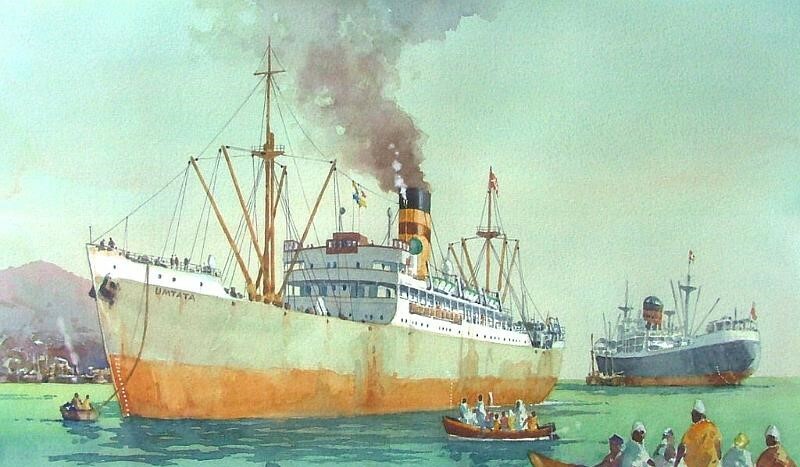 At 09.02 hours on 7 Jul, 1942, the Umtata (Master R. Owen Jones) was torpedoed and sunk by U-571 northeast of Key West in the Florida Strait, while under tow by the American tug Edmund J. Moran. The master and 91 crew members were picked up by the tug, transferred to USCGC Thetis (WPC 115) and landed at Miami.